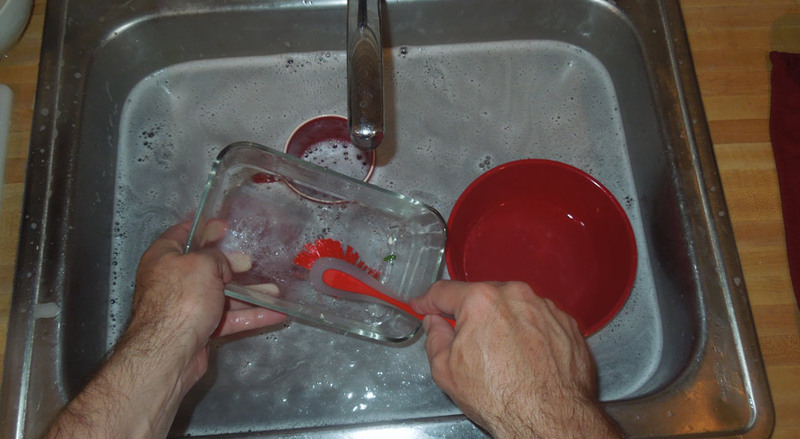 Is it faster to simply wash the dishes by hand? I've lived long stretches without a dishwasher, when I might have forgotten how useful they are. I love having one. To me it seems like a superb time-saving appliance, but not everyone agrees. 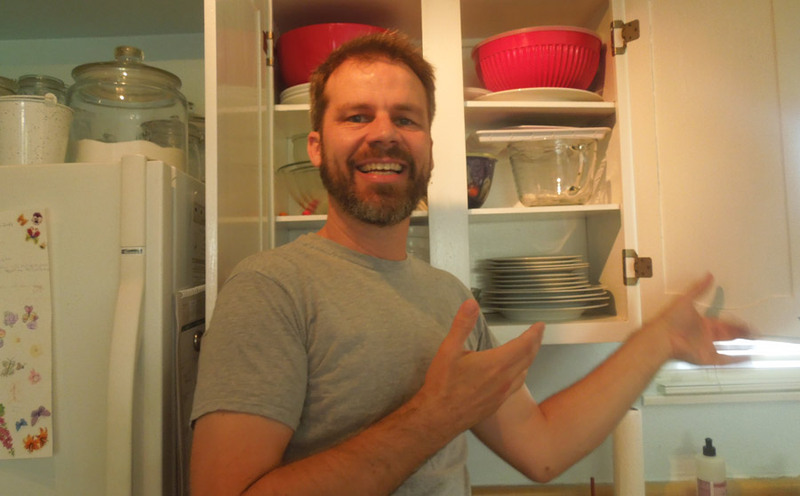 Some people believe that once you add up the loading and the unloading, the dishwasher saves little or no time at all. I decided to put that theory to the test. 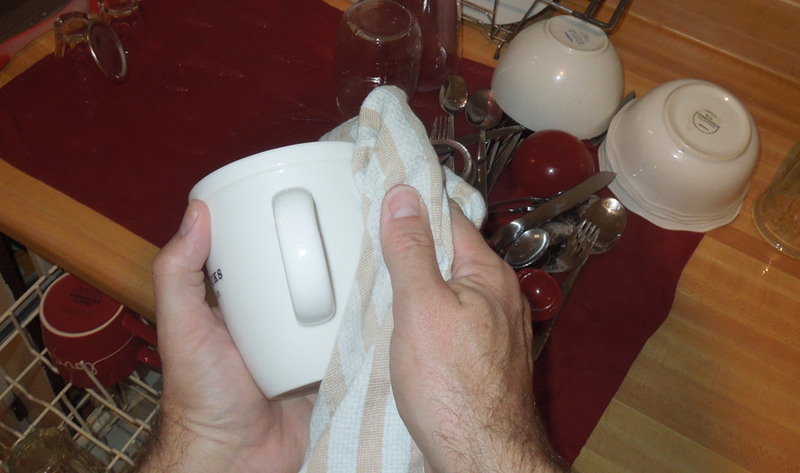 Dishwashing by hand rarely occurs in a single chunk of time, so it may not be obvious how much time it takes to wash an entire load. 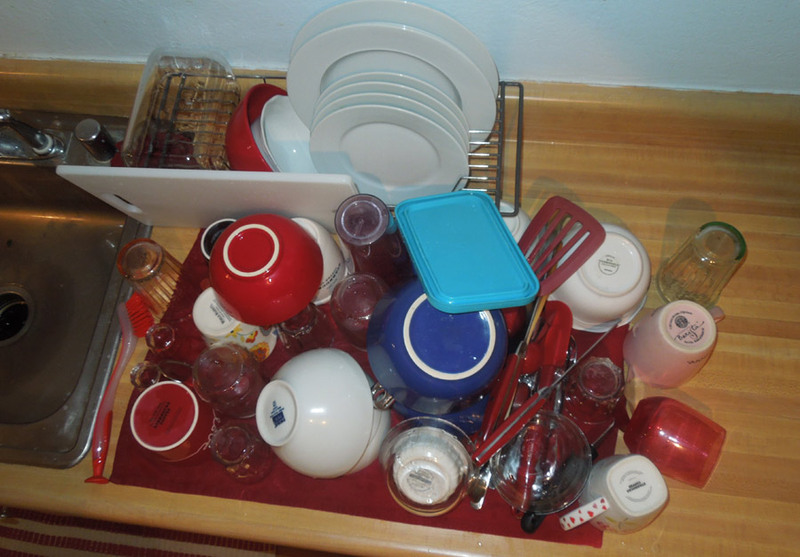 After discovering the capacity of the dishwasher, I pulled everything out and stacked the dirty dishes next to the sink. This was a really big pile of dishes. I started a timer and set about washing them by hand. I washed them quickly, but not as fast as possible. Washing the dishes by hand took almost 28 minutes. Here is the stack of clean dishes. 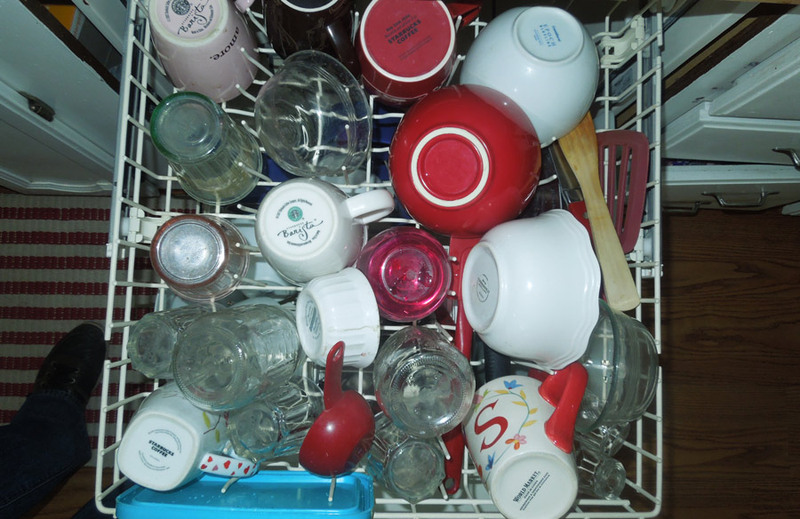 You might be thinking "that's not enough to fill a whole dishwasher", or "I'd never let that many dirty dishes stack up before I washed them". Both of these sentiments highlight the crux of the dishwasher's advantage: It washes a whole lot of dishes in one shot. Next I dried the dishes and put them away: 6 minutes, 45 seconds. 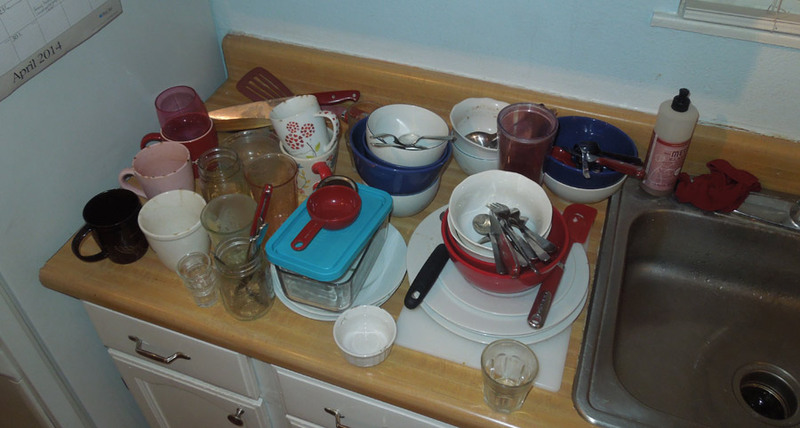 The total, including two minutes of dish-scraping time, was 37 minutes to wash this load of dishes by hand. Now came the amusing second step, running this identical batch of dishes through the dishwasher. If they had been freshly used, I would have used the same two minutes scraping the plates. It took six minutes to load the dishwasher. I knew the dishwasher cycle took a long time, but this time I had a timer on it. Including a heated drying period, the dishwasher took more than an hour and a half! 93 minutes! The final task was to put the dishes away. Sometimes I procrastinate on this step, but this time I was excited to discover the time savings. Here are the results: Washing a load of dishes takes 37 minutes by hand, 107 minutes by machine, but most of that work is done unsupervised by the dishwasher. Only 14 minutes of actual labor was needed with the dishwasher, freeing up 23 minutes to go have my teeth cleaned, or to fold clothes or backup photos from my smart phone. Here's a graph. 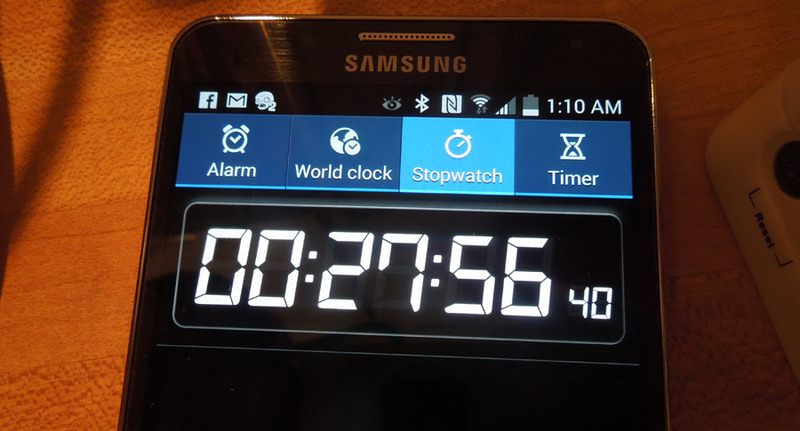 The top bar shows the whole amount of time used with a dishwasher, with the long blue center representing the dishwasher run time. Only the green and brown areas require your participation. I'm convinced! 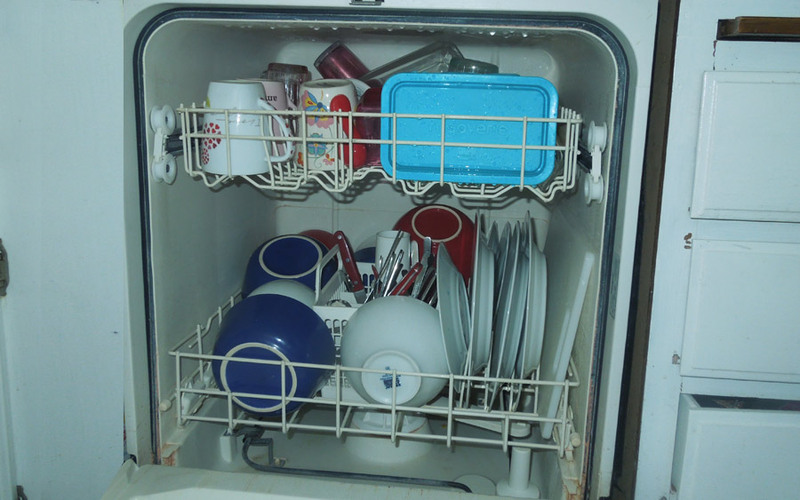 Using a dishwasher is a huge time saver, reducing the chore from a 37 minute experience to a 14 minute one. The dishwasher is a real time saver. 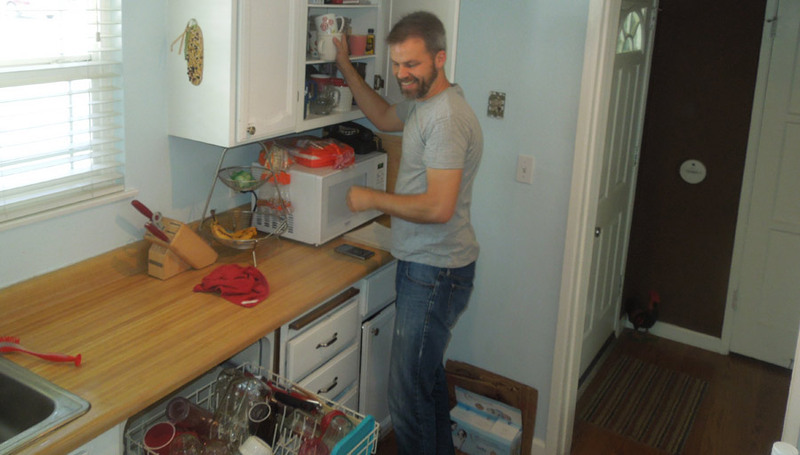 Will the dishwasher cost a lot to operate? No. Energy Star labels on new dishwashers reveal how much power is used in a single wash load: About 14¢, and that includes the price of the energy needed to heat the water. The energy star label also shows an estimate of dishwashers being used four times per week on average. If that's accurate, a household dishwasher will free up about 400 minutes of labor per month (23 minutes x 17.3 washes per month). How Long do These Chores Actually Take? How Many Watts of Electricity does a Dishwasher Use?